#1 Used Tire Selection in Rochester, NY & Syracuse, NY! WHY PURCHASE OUR QUALITY USED TIRES? Whether you have an older vehicle. Lease Turn In. Used Car Dealer. Or just simply looking for great value, Hooper's high quality used tires always save you hundreds. Average used tire price being only $45 installed! Average $80 savings per tire vs. new with 50-90% of the tread left! We take the worry & drama out of the used tire buying experience. When you purchase a quality used tire from Hoopers Tire Outlet, you are purchasing one that has been thoroughly inspected and tested by our team of tire specialists with our modern advanced tools and equipment. 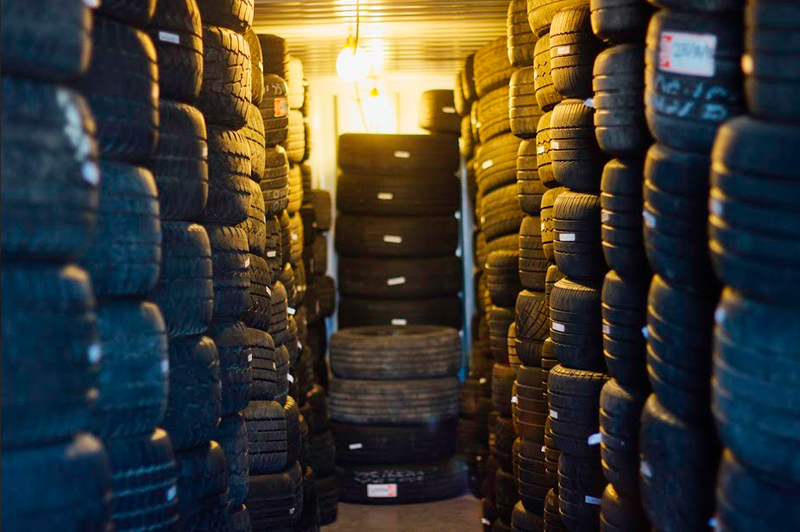 All Tires are sized labeled, tread is measured, and stored in an indoor, dry, organized environment until the point of sale & installation. All used tires are backed by our satisfaction guarantee! We have the best quality used tire selection in upstate NY with thousands to choose from at both locations! Yes we guarantee all of our used tires. We stand behind our product! When all you do is tires, you can't be successful unless you offer an excellent inventory of new and used tires. And that's exactly what you'll find when you visit Hoopers Tire Outlet. We have a selection of over 1000 used car, truck and SUV tires in stock, and we have access to a large choice of new tires. We offer you all major brands of used and new tires. Free Install With All Tires!